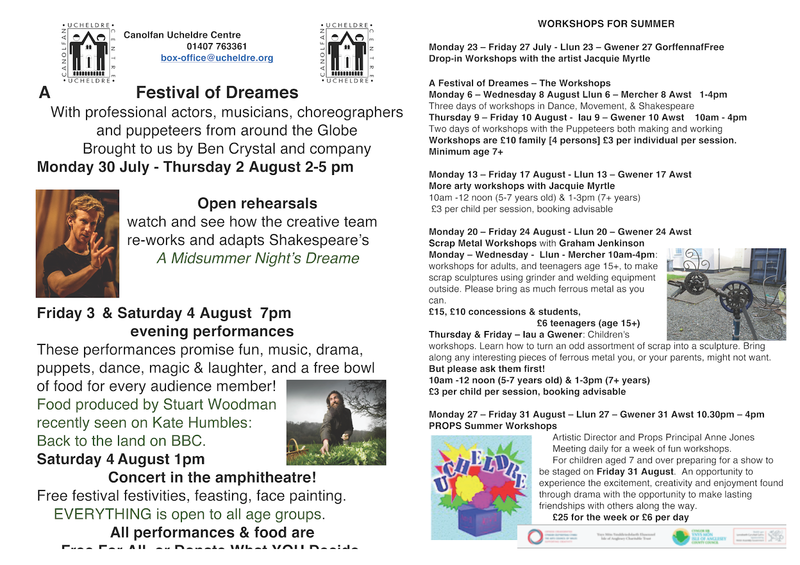 The Ucheldre Centre have just sent me the leaflet with details of Ben's Dreame fortnight - an Elizabethan-style adaptation of A Midsummer Night's Dream - involving actors, puppeteers, choreographers, and other contacts of Ben from around the world, all gathering in Holyhead for open rehearsals (30 July - 2 Aug), two free performances (3-4 Aug), and follow-up workshops on dance, movement, and Shakespeare (6-8 Aug) and puppetry making and working (9-10 Aug). The better the day, the better the deed, as Shakespeare didn't say. But for everything he did say Ben amd I are thrilled to announce that we've reached the end of a 6-month development phase and can launch the 3.0 version of Shakespeare's Words. The site now runs up to ten times faster than before. All texts are shown in a First Folio or Quarto edition alongside the modern text. All Folio & Quarto spellings of words are now in the Glossary. The Circles showing the relationships between characters are now interactive: click on a name to see that character's part in the play. You can now search for words used by individual characters and in individual plays or poems. With rebuilt advanced search function, it’s easy to see if a particular word is being used nearby your search word. And most importantly, the site is now mobile-adaptive, so people can explore it on their cell-phone or tablet. Shakespeare’s Words is now pocket-sized! In order to meet the substantial costs incurred in developing this new site we've introduced a ticketing model: after a limited free exploration, those who wish to carry on using the site can purchase access for a day, a month, a year, or a decade. As before, once running costs are covered, we intend to make donations to theatre companies that receive no public subscription. 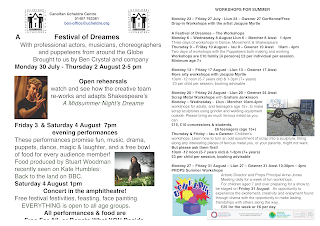 Please feel free to circulate this to any of your contacts who might like to hear this news.